John McPherson is the principal of Arnold Dallas McPherson. He has worked as a lawyer since 1992, and as a partner in the firm since 1994. He has extensive experience in WorkCover, TAC and other injury claims and is an Accredited Specialist in Personal Injury Law. John is a Law Institute of Victoria Councillor and a Victorian State committee member of the Australian Lawyers Alliance. He has been involved in many community and not-for-profit organisations, including the Bendigo Centre Against Sexual Assault and Bendigo Access Employment, among others. He was the former long-time Chair of the Board of Management of ARC, the body which runs the Loddon-Campaspe Community Legal Centre, at which he is a volunteer. Debbie Lawn has a long history working in personal injury law, particularly in workers’ compensation and now WorkCover, all over Victoria, in Melbourne, and also regionally in Bendigo and Mildura. Debbie moved to the Bendigo area in 1999 and has been with Arnold Dallas McPherson Bendigo since that time. Debbie also has expertise in employment law, and is a member of the Australian Lawyers Alliance. Debbie works at our Bendigo office, and also visits Castlemaine, Echuca and Melbourne frequently. Lachlan Singe lives in Bendigo with his young family having moved back there in 2004 after completing his law degree at Monash University. Lachlan joined the firm in 2004 as an Articled Clerk and is now an Associate. He has significant expertise in all facets of personal injury law and is an Accredited Specialist in Personal Injury Law. He is a member of the Australian Lawyers Alliance and is on the Law Institute of Victoria Personal Injuries Accredited Specialisation Committee. In addition to his legal qualifications, Lachlan also has a science degree, majoring in physiology, with a particular interest in neuroscience. He has, in the past, been the Suburban and Regional Young Lawyers representative for the Bendigo region, and also has been involved in the Bendigo Law Association Committee. He is based in Bendigo, but often attends both Melbourne and Echuca to assist clients. Elizabeth Davidson has worked in personal injury law since 1984. Elizabeth first worked in Melbourne for five years, then with a regional firm in north-east Victoria for 20 years and then in Mildura for 18 months, before joining Arnold Dallas McPherson in June 2013. She is now based in Bendigo, and works frequently in our Shepparton and Echuca offices. Elizabeth is an Accredited Specialist in Personal Injury Law in both Victoria and NSW, and is a member of the Australian Lawyers Alliance. David Velleley is a long time personal injury lawyer, having run his own practice for many years. He joined Arnold Dallas McPherson in 2010 and in that time has worked in both Bendigo and now Melbourne, assisting clients throughout Central Victoria and New South Wales, including Castlemaine, Echuca, Moama, Deniliquin and surrounding areas on both sides of the Murray. He is very experienced in Public Liability cases (slip and trip, footpaths and supermarkets and other injuries) and interstate matters. Being able to use his expertise to help people is what David believes is the greatest privilege for a lawyer. David is a foundation member of the Australian Plaintiff Lawyers Association (now Australian Lawyers Alliance). Shaun Marcus is an expert Personal Injury Lawyer with over ten years experience. He has contributed substantially to Personal Injury Law Reform in Victoria and is currently the WorkCover Representative of the Australian Lawyers Alliance. He sits on the WorkCover Advisory Committee, which assists in advising government about workers compensation laws in Victoria. In addition, he is currently a member of the Law Institute of Victoria Personal Injury Law Accreditation Committee. Shaun enjoys spending time with his family, long distance trail running and supporting the mighty Hawks. Kirstie Lyons was raised and educated in Bendigo, graduating in Law and Science at Latrobe University. She returned to Bendigo once finishing university and joined Arnold Dallas McPherson in December 2010. Kirstie has expertise in all aspects of TAC and WorkCover claims, as well as Victims of Crime applications. 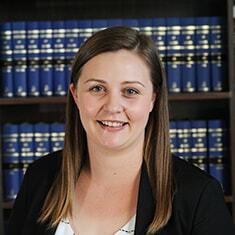 Kirstie has been a representative on the Young Lawyers Committee of the Law Institute of Victoria and committee member of the Bendigo Law Association. She is a member of the Australian Lawyers Alliance. Kirstie works predominantly at our Bendigo office, and also assists clients at our Castlemaine office. Emma Murphy practices in injury litigation, including worker’s compensation, TAC and public liability matters. 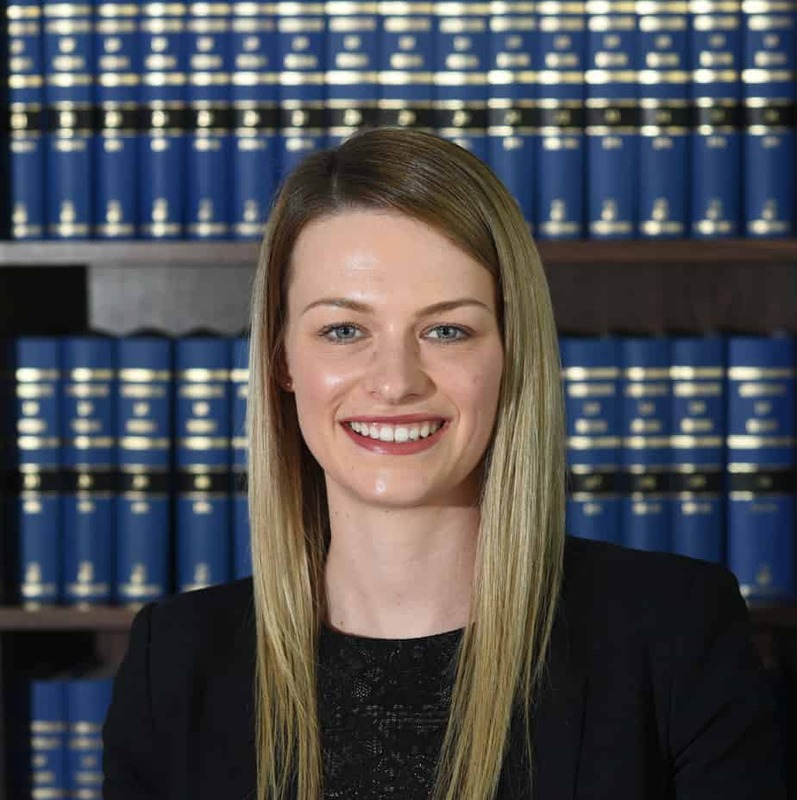 Prior to joining Arnold Dallas McPherson in 2017, Emma completed her Bachelor degrees in Law and Science at Monash University and legal training at the Coroners Court of Victoria. Emma’s passion for standing up for individuals’ rights has also led her in the past to be a member of the Northeast Health Human Research Ethics Committee, Office of the Public Advocate Community Visitor Program and Open Door Neighbourhood House. Emma has returned to Bendigo, having grown up in the area and is eager to assist clients and contribute to the community in which she both lives and works. She volunteers at the local community legal centre and is a member of the Bendigo Law Association. She is also an active member of the Australian Lawyers Alliance and Victorian Women Lawyers. Bethany Leddin was raised and educated in Rochester, Victoria before moving to Melbourne and graduating in Law at Victoria University. Bethany completed the practical legal training component of her course at Arnold Dallas McPherson during 2015 and 2016 before joining the firm as a lawyer upon her Admission in November 2016. Bethany works in both our Bendigo and Melbourne offices in all areas of personal injury law including WorkCover, TAC and Public Liability. Bethany is a member of the Australian Lawyers Alliance, Law Institute of Victoria and Bendigo Law Association. Sarah Richardson is an experienced and passionate Personal Injury Lawyer. She has acted for hundreds of clients in pursuing worker’s compensation claims, TAC claims and public liability claims. Sarah was raised and educated in Melbourne’s outer eastern suburbs. 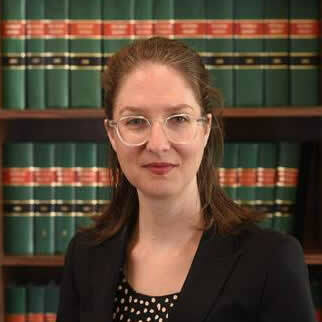 Sarah initially completed a Social Science Degree at RMIT University, and then went on to complete her Bachelor of Laws Degree with Honours at La Trobe University. 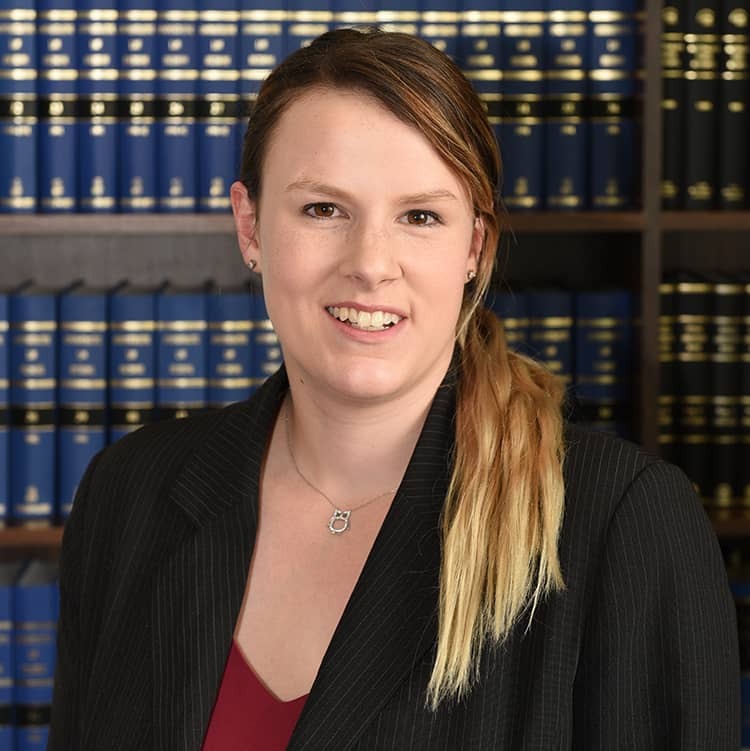 Prior to joining Arnold Dallas McPherson in 2017, Sarah had a busy personal injury practice based in Dandenong and Bayswater. Sarah is based in our Melbourne office and services Melbourne’s outer suburbs. Sarah is a member of the Australian Lawyers Alliance, Law Institute of Victoria and Bendigo Law Association. Kelsey Johnston was raised and educated in Bendigo. She graduated from La Trobe University in 2017 after completing a double degree in Law and Science, majoring in Microbiology. Kelsey then went on to complete her Practical Legal Training at Leo Cussen Centre for Law and was admitted to practice in February 2018. 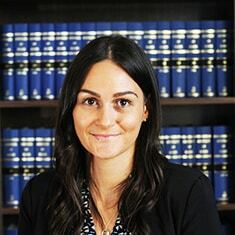 Nicole Connors practices in injury litigation, specialising in TPD, income protection and superannuation claims, as well as worker’s compensation, TAC and public liability matters. Nicole completed her law degree at Monash University, and was admitted to practice in February 2012. Nicole initially worked in Melbourne for five years and then in Bendigo for 15 months, before joining Arnold Dallas McPherson in November 2018. She is based in Bendigo, and also frequently assists clients in our Shepparton and Castlemaine offices. Nicole is a member of the Australian Lawyers Alliance, Law Institute of Victoria and Bendigo Law Association. Nicole is a committee member of HALT, a Castlemaine based not-for-profit organisation promoting mental health for tradies.